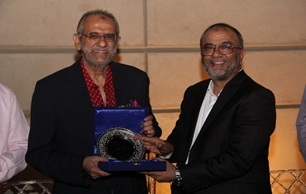 Central Depository Company hosted a dinner in the honour of Mr. Mushtaq Chhapra, Chairman – The Citizens Foundation (TCF). Mr. Chhapra has recently been conferred the prestigious civil award, ‘Sitara-e-Imtiaz’, for his services and contribution towards education and social welfare. This dinner was held in celebration of this monumental honour. TCF has had a very successful journey. In its two decade history, TCF has become an inspiring force working towards the betterment of the nation by providing access to education to the scores of underprivileged youth in the country. With its humble beginnings, TCF now boasts of over 1200 schools spanning the entire country with 175,000 students enrolled. The success of TCF is a testament to the leadership and vision of Mr. Chhapra. TCF has crafted its legacy as a true success story of Pakistan. Through donations collected from the entire globe, TCF builds and manages purpose-built campuses in the underprivileged parts of the country. These campuses maintain excellent educational standards and provide subsidized education along with support for books, stationery, uniforms etc. The dinner was attended by several leading members of the corporate world along with people from the social sector. Mr. Chhapra was presented a shield in honour of his services by Mr. Hanif Jakhura, CEO – CDC. 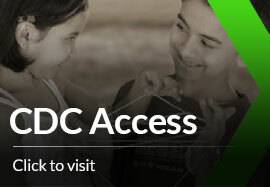 CDC has had a long history of collaborations with TCF. Through its CSR initiatives, CDC has continually partnered with TCF on a number of endeavours and this trend will continue. Not only does CDC support TCF through donations but has also solely sponsored the construction of a school in Tapo Azeem Shah, Mirpur Khas. Additionally, CDC employees have also volunteered for TCF Rahbar Mentorship program as well.